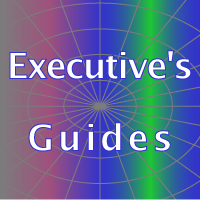 CSRA launched the Executive’s Guides in 2008, debuting with the Executive’s Guide to LinkedIn. The Executive’s Guide to Twitter and The Executive’s Guide to Facebook followed in 2009. The Executive’s Guide to Google+ launched in October 2011. Most enterprises that lead online social initiatives will benefit from leveraging public platforms like LinkedIn, Google+, Facebook, Twitter and others, so the Executive’s Guides focus on applying major platforms to specific business problems and opportunities. The cornerstone of success with any social initiative is building a network around your space, and that means outreach to the major platforms. A key part of CSRA’s client work is guiding enterprises in interoperating with their ecosystems, which major public platforms often dominate. Enterprise focus: most advice on public platforms is focused on the individual, not the enterprise, which has a more complex opportunity and problem set. Our experience as enterprise management consultants enables us to distinguish ourselves here. Two-fold executive emphasis guides executives as individuals and enterprise leaders. Executive’s Guides offers advice on leveraging platforms to enhance your competitiveness as an individual while we address how government agencies, nonprofits and companies can use platforms to engage the stakeholders that are most important in meeting enterprise business goals. Site features and how to use the guides.